Happy Tomato Tuesday! The sun is shining here in Seattle and I'll bet my tomato plants are going to love this 75 degree day. Mason guarding my tomato plant. 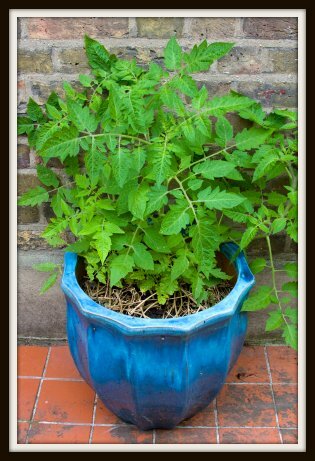 With the temperatures warming up, it's time to start watering your tomato plants more. 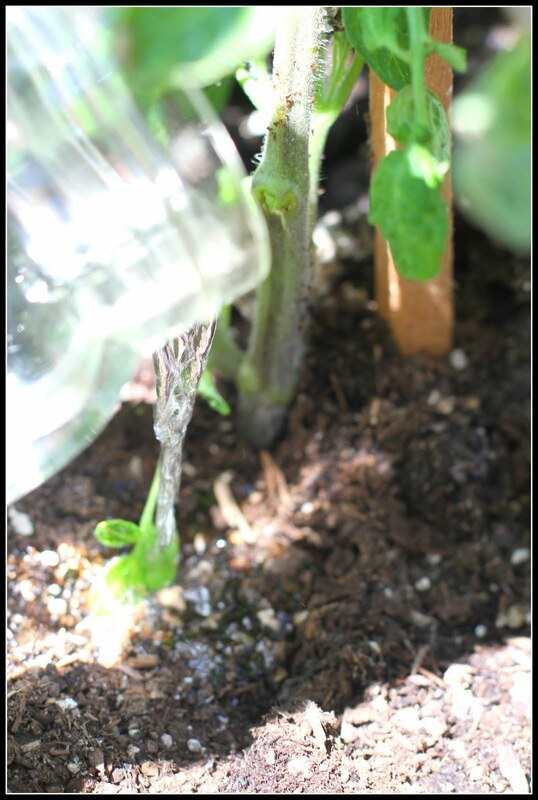 How you water your tomatoes can affect yields for the summer, so listen up! Tomatoes need about an inch of water per week. In the heat of the summer, you should be watering about 3-4 times a week. 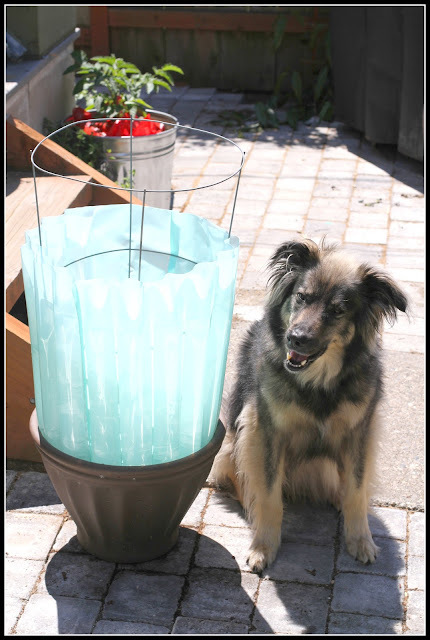 Water your plants with a drip irrigation system or a watering can (water at the base of the plant). 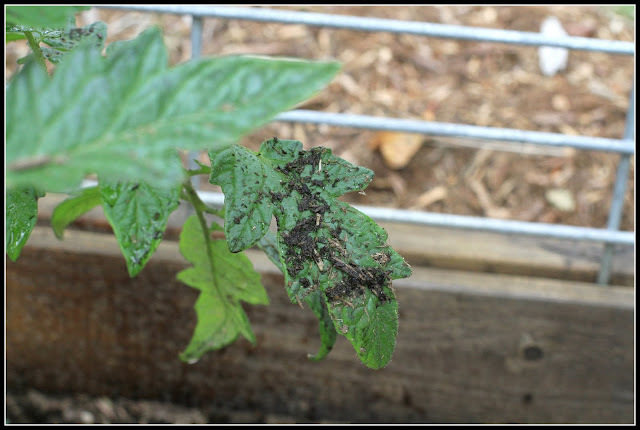 Watering over the top of a plant can splash dirt on the leaves which can expose the plant to soil borne diseases and possibly kill your plant. Add mulch around the base of your plant to keep the dirt moist. 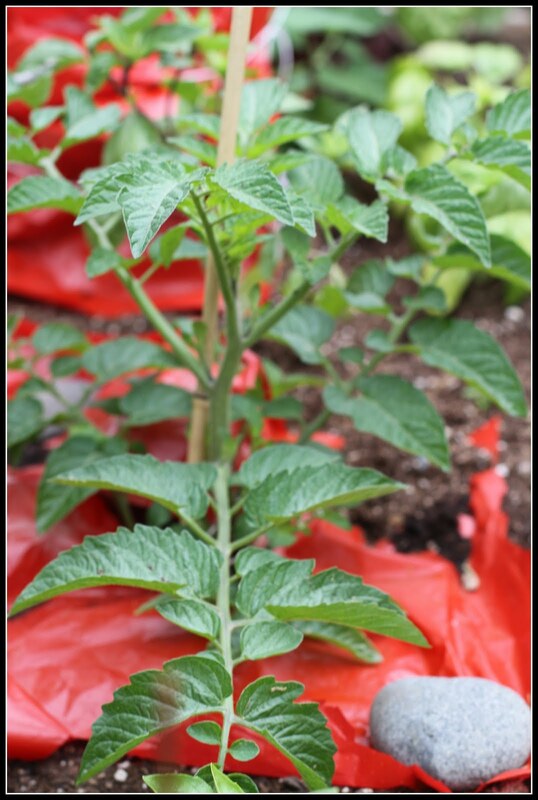 Most of my tomatoes have standard mulch around the base, however I am attempting the "red plastic" mulch on a few. It looks terrible and I don't like the idea of using plastic, but I wanted to test out the theory that the red increases the growth of the plant. Water slowly: tomatoes have deep roots and so you need the water to slowly absorb into the soil making its way down to the roots. 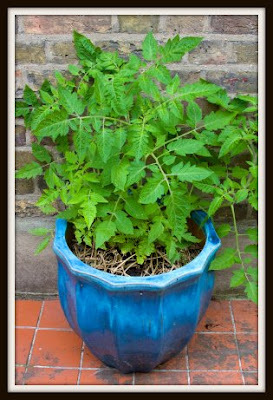 If you are growing tomatoes in containers, you will need to water them more frequently. 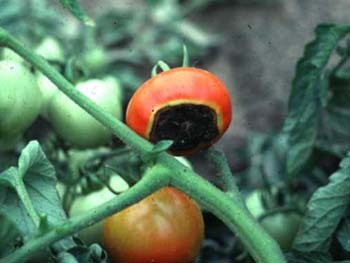 Over-watering tomatoes will result in your tomatoes not ripening. This is because the ground stays cool and moist so the plant believes it is earlier in the season than it really is! Watering too much or sporadically, can lead to blossom end rot. Thursday's post will be on growing artichokes!